Challenge is committed to supporting families who have lost a child to cancer. We achieve this through our bereavement support programs. Challenge hosts an annual Family Remembrance Day, which sees families and close friends come together to commemorate and celebrate their respective child’s life at a fully-catered barbeque with games and entertainment. 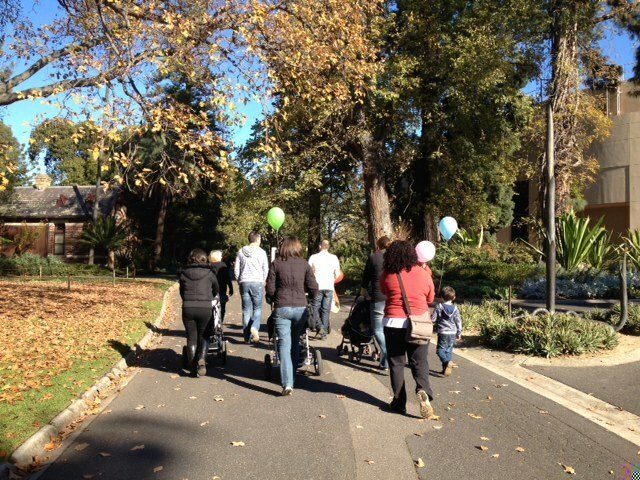 Our regular Walk and Talk sessions allow bereaved families the opportunity to get together for a friendly stroll around Melbourne’s Royal Botanic Gardens. These sessions provide families at different stages of grieving, the opportunity to develop personal support networks in a friendly, positive and constructive setting. Walk and Talk encourages participants to get outside and be healthy, while highlighting the importance of community and the sharing of experiences in order to appropriately deal with grief. Walk and Talk is part of Challenge’s philosophy that no child or family should walk alone through their cancer journey. Challenge also creates photo books for bereaved families. Photo Books capture the wonderful memories and stories of a child’s life, tracing their journey from pre-treatment, through diagnosis and beyond. We work closely with families to source appropriate images and produce a special memento that can be kept forever as a vital part of the commemorative and healing process. Please contact the Challenge office on 03 9329 8474 for further information about these services.